Uncategorized – Definitely Not The Walton's…. Today after almost 6 months of hell at the hands of our local authority, we are victorious. But it is a hollow victory, tinged with indescribable sadness and pain. Lost opportunities. I’ve been annoyingly cryptic on social media (sit down in the cheap seats with your cries of ‘generally just annoying!’ 😉) over the last 6 months or so. I’ve alluded to ‘things;’ vague references to #fighting the good fight# and such like but effectively been gagged from further explanation. Until now. In August 2018 we were presented with a hand delivered letter from the manager of the Looked After children’s social care team (LAC) informing us they intended to pursue us through the courts for parental responsibility over our autistic 15 year old son. I cannot begin to adequately describe the horror and pain we felt, as well as the sheer disbelief, on reading the allegations laid out in the Public Law Outline (PLO) document hand delivered that day in August. The LA brought a case against us stating we had caused emotional abuse, neglect and rejection, by placing the needs of our other children over and above our son’s. All because we had continued to seek and challenge them in providing an alternative, and most importantly, APPROPRIATE care placement. The first hearing took place in October 2018. Upon reviewing the bundle of ‘evidence’ the Judge was quick to recognise that our battle with the LA stemmed from our request for him to be placed in an alternative provision to that which had been provided. She refused to allow the LA any grounds of threshold on their submissions and highlighted that the case brought before her was deeply upsetting and hurtful to us as parents. She also recognised that having been in dispute for so long, it was necessary for the matter to be heard in the court and therefore stipulated that the case could proceed on the grounds of being out of parental control with no fault being directed at us as parents. Today the case against my husband and I was withdrawn by the Local Authority and whilst we are relieved in the extreme, there’s a pervading emptiness, an anti-climactic ‘that’s that then’ feeling. After reading the lies and damning claims submitted by the LA, the hours I’ve spent pouring over documents, the hard-won receipt of social care records, enduring endless meetings with social workers and lawyers and providing evidential based-responses and testimony, today the Local Authority got to stand up in court and say “actually we withdraw, there’s no case to answer.” No sorry, no oops we got it wrong and no acknowledgement of the anguish or distress this caused us! It hurts. A lot. It is no comfort (at least not at the moment) that our barrister says this is the best outcome we could have hoped for; that by instructing the Judge that there is no case to answer, she allowed the application to be withdrawn. He explained the fact that the LA did not withdraw prior to today meant they had to save face and thus we still had to appear in front of the Judge for her to formally dismiss the proceedings apparently….but it doesn’t feel like we’ve been cleared or had our chance to challenge why they brought such an erroneous case. Even the very favourable reports from the court appointed guardian highlighting that she has no concerns over our parenting bring little comfort. I suppose we wanted retribution but it’s not in the redress of this particular court to address the, for want of a better word, ‘suffering‘ we have experienced. I think I’ve been too hooked on tv court dramas with all the vim and vigour (vinegar as far as my feelings go!) and the fire and brimstone. There’s no revelling in the fact that #justice# has been done. Of course there will be some legal bod out there who would happily pursue a case on our behalf (💷💷💷 kerching???) but that will cost us funds we don’t have and for what purpose? Will it bring about closure? Will it heal our grievances? And I suppose I still worry that because we didn’t get to call them out on the stand and have a Judge formally rule on proceedings, there will be always be those people who assume the “no smoke without fire” philosophy, thus believing we are indeed at least partially at fault. Those of you who have followed my blog/know us personally, will be aware that we have 4 children. All with extra needs and/or health conditions. Let me be clear, this is not an attempt in any way to curry admiration or pity on my part. It is just a fact. For the last 3 years we have been in dispute with our local authority about the most appropriate way of meeting the needs of our high-functioning autistic son. When we first embarked on this quest, our children were aged between 7 to 16. I’m extremely lucky to have Mr DNTW’s total support and 100% commitment in aiding (& abetting?!) 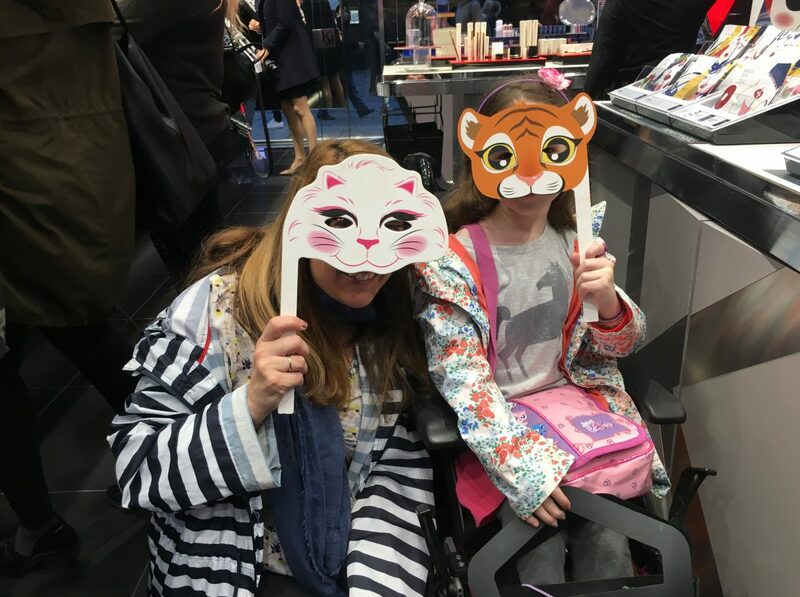 family life but juggling everything alongside him working shifts with long, unsociable hours and for whom weekends off are as mythical as rocking horse poop, well, ostensibly meeting (attempting) the family’s day to day needs stands – or falls – on my shoulders. By the latter part of 2016 it had become apparent that despite the multiple strategies and interventions by ourselves, CAMHS, various core emergency services, and the trialing of ever more desperate adaptations to “fix” things in mainstream schooling, nothing was going to reduce our son’s anxiety or the on-going repetitive, risk-taking behaviours and withdrawal from learning, family and friends. It was agreed that our son needed an education health care plan (EHCP) and specialist educational placement. Our son was also requesting respite from the family home. He struggles when his needs cannot be met, with the hubbub and ‘chaos’ that manifests within our busy family and with the unpredictable nature of our other children’s health needs. So we sought to find a solution encompassing not only his academic needs but his social, emotional and mental health needs. Additionally we wanted an emphasis on building, and imparting important life skills in order to secure the ability to support himself in living an independent (or to the best of his abilities) life in the future. It is generally recognised that most children thrive with routine and that this brings them reassurance. Predictability, timely, boring regularity. In the case of many autistic individuals this is key to day to day management and reducing their anxieties. Certainly in our son’s case sudden upheaval, changes to arrangements or fixed plans being altered are at best unsettling, at the very worst, a cause of deep distress leading to potentially risky, life-threatening behaviours. We don’t have family to rely on locally and whilst we are ever grateful to the small groups of friends we have made locally, many of them have their own children, some also with complex needs; they are not in a position to assist in helping out or medically qualified to do so. H now being over 18 means he doesn’t qualify as a child in the eyes of the law; nonetheless as I’m sure the majority of parents would testify, once your offspring reach a legal age of independence, it doesn’t mean you cease to parent…or care…. or worry…. sorry H you are stuck with me mithering you about what time you are coming home or if you are in for dinner! I promise to stop once you leave home “for good.” Probably. In respect of our younger 2 children, their needs are much more complicated and unpredictable to manage, both by virtue of their ages and the nature of their difficulties. Suffice to say, life is not so neatly parcelled up with a cherry on the top. I’ll spare you all the intricacies (if you want to know more, I’ve covered this in other blogs) but on grounds of the costs being incompatible with public expenditure we were refused a placement for our son at an autism specific residential school on a Monday-Friday basis. This had seemed the answer that best met not only all our son’s needs but also the wider family as well. Our son was only offered a place at a day school (which catered for children with extreme behavioural issues, less than half on role have autism as their primary diagnosis) but there was nothing concrete forthcoming from children’s social care or health. By this point, both ourselves and our son were desperate. And exhausted and demoralised. I will never forget reading an article that described how parents of children with autism show similar levels of stress to that experienced by combat soldiers. It was glaringly obvious that we needed a complete turn-about from the impossibly, destructive situation we seemed perpetually quagmired in but I just couldn’t do it by myself anymore. We engaged legal representation in order to proceed to an educational tribunal. This cost us hugely. I do not mean just financially. I had a complete mental health break-down and spent 3 months as an in-patient. To this day I take a cocktail of medications so I can “function’ and continue to receive therapeutic community care. The fall out on our other children was immense and still impacts them in a variety of ways. Mr DNTW’s too. With him having to hold down a job and be soul parent, he called in favours left, right and centre to see to the care needs and day-to-day cover for our children. We could not afford for him to take unpaid leave. Ultimately, my psychologist refused to allow me to leave hospital until social care had provided a medium to long term plan to accommodate our son to allow me to recoup my energy and build on my recovery. Our son was shunted between multiple foster carers which nearly broke our hearts. Eventually after a period of 6 weeks or so where there were more than 8 people responsible for his care, he was placed in a foster placement some 45 minutes away from us as an interim measure. His needs arising from his autism spectrum condition were never appropriately assessed and we were all in limbo, waiting on the decision of the education court ruling. During those darkest of days the response from social services was how soon can we return your son home? They simply weren’t interested in the wider needs of us all. Further, when we outlined for sensitive reasons that I won’t divulge here, the carer he had been placed with was not capable or suitable to meet our son’s needs, the response was if you don’t like it, take him home. A phrase that was repeated with alarming regularity during the last few years. Again we were deeply disappointed and living in groundhog day. We considered so many ways to go forward and had settled on proceeding to Judicial Review in order to get the local authority to formally assess our son’s needs holistically. It is a lengthy process and all the while we were being told by our former social worker that his needs were in hand. He was clothed and fed and happy. But he wasn’t – happy – and his wider needs so paramount to his progress and development weren’t being met in any way. The social worker was intractable in her approach and either unable or unwilling to discuss our concerns. 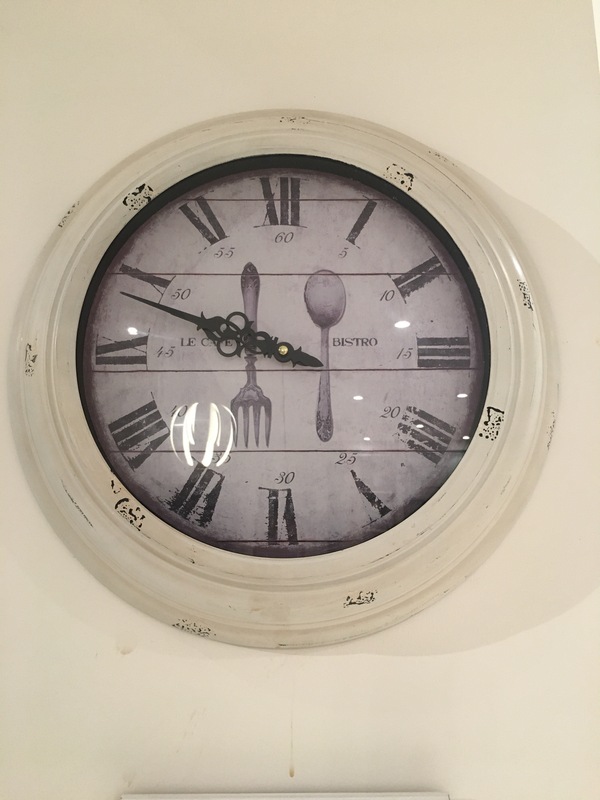 Despite our repeated pleas for our son’s needs to be properly assessed and matched with an appropriately trained foster carer or a placement in a residential unit, we were refused time and time again. I should add at this point that throughout the difficulties over the last few years we have continued to have plenty of contact with our son. Daily by phone and/or texts. He also comes back to the family home when there are 2 adults here so that one can assist or be responsible for the care needs of our younger children and one of us can be there for him. This averages out as a minimum of 2 nights per week and all school holidays. We are in daily contact with school for progress reports and updates and have an excellent working relationship with his various support workers. I’m conscious my son may one day read this post and some of the events that led up to the court proceedings (and continued during the hearings) are very personal to him. That is his story to tell if he and when he so chooses so I won’t divulge specifics. However, despite our best efforts to reassure him that we would always be his parents, no matter what, and that we would always fight for what we believe to be in his best interests, it has been a deeply distressing time for us all. Knowing that the local authority could potentially dictate the where’s and when’s of contact, the amount of contact, where he lived and act as his parental guardians in all aspects of his needs has had a profound affect on us all. Of note: two good things have come out of this (aside from the obvious relief of the case being dropped) – at the start of the LA’s actions, we were allocated a new social worker. She is fantastic and has worked extremely hard with us, our son and on our behalf. Her endeavours, alongside the evidence we provided and the evidence submitted by the appointed guardian who carried out assessments of us, the former foster carer, of our son and his school has led to securing an appropriate care placement for our son. He moves on Sunday after a few celebratory days with us as home. Our social worker has taken the time to listen and actually hear what we have been saying. She has taken the time to get to know us, evaluate his needs and understand the impact of his autism, not just on him but also on us as a wider family. We are quietly confident that the new placement will be the best plan going forward and it is all to her credit that in spite of the very difficult circumstances, we have built a relationship with her that is mutually respected. Nonetheless, it will take a long time before we as a family are healed from this traumatic process. There are many days where I feel like waving the white flag of surrender. I give up. Stick a fork in me, I’m done. Substitute your own personal favourite motto for when the 💩💩 just keeps on coming and you really don’t want to face it anymore. As a rule, I am not a woe is me kind of a gal but there are limits and even for the Queen of “the glass is half empty, therefore there’s always more room for wine” claimant, sometimes I just don’t want to play anymore. Actually, the straw that broke the camels back today is really rather ridiculous – especially since I’m a grown (loosely termed since I barely scrape 5ft 3″) woman. You could in fact say I had built that particular danish up to be the highlight of my week (I know I know, I need to get out more!) and I was relishing scarfing it down with my mid-morning latte whilst staring daggers at my ever-increasing piles of paperwork that needs to be set light to dealt with and some of it rather urgently (anyone thinking I might be procrastinating by writing a blog post instead of dealing with said paperwork, that’s an affirmative!) particularly if I intend to throw my own kind of shade back at the dark forces. They might be putting up barriers but I’m packing TNT, a demolition ball and an AK47 to pulverize them. Ok perhaps I should STEP AWAY from the caffeine….my over active imagination, key-board-warrior-esque approach and twitchy eye suggest that caffeine, my drug of choice, has been consumed in too vast a quantity. Whether it was the *slightly* murderous deranged look in my eyes or the muttering sotto voce of curses questioning the parentage of all food halls connected with this particular establishment that caught the attention of the lovely man on the bakery counter, I can’t be sure but clearly sensing something was amiss from the plethora of delicacies in front of me, he tentatively asked if everything was all right. Resisting the urge to scream out in the style of Ross from Friends a la “My Sandwich” sketch (you young things aren’t likely to be familiar with that gem so let me share it here https://www.youtube.com/watch?v=6tqmXTYa3Xw) and without resorting to tears either (the struggle was real people!) I managed to convey my deep disappointment that there were no danishes of the apricot variety to be seen. And then, as if by divine intervention (ok, I’m waxing faaaaaaarr too literally, all that caffeine has really done for me today!) the dear, dear bakery man, (alas I did not find out your name in the ensuing rush of emotions that came over me!) uttered those most blessed of words: “not to worry, I’m just about to put some out!” Yes! Fist bump, air horns and angels singing the hallelujah chorus; the gods and goddesses and the high priestess of bakeries had smiled righteously upon me. I must confess it felt like there was something in my eye. I’m thinking that as my salivary glands went into over-drive, some sort of neurological spill over occurred to cause watering? But the thing is, I’m a firm believer in taking your pleasures where you find them (erm just to caveat, legal ones, I’m definitely not advocating lawlessness or reckless criminality!) because being a parent is at times bloody hard work. Being a parent carer is even bloody harder, thankless work and as far as I can find, there’s no resignation clause and as for the pay? Well if you are “lucky” enough to qualify (there are certain criteria and the person you are caring for has to have significant needs taking up significant amounts of time) for carer’s allowance, do the maths – you don’t even get minimum wage for the hours you put in. Oh and no matter how many people you provide care for, you only get a single carer’s allowance. When you multiply caring for 3 children and an 18-year-old who all have varying medical/social-emotional needs and complexities, there really aren’t enough hours in the day. I go to bed every night with a to-do-list that grows ever longer. For every 2 things I manage to tick off during the course of the day, I seem to have added at least another 5. It plays on my mind that I have dropped the ball somewhere; have I requested everyone’s medications from the GP and arranged for them to be sent to the pharmacy? Do we have enough feed/containers/giving sets/dressings/lotions and potions in hand to get to the end of the month? Have I transposed all of the appointments that crop up into my phone calendar so I can plan everything round them in the weeks ahead? And woe betide if any of those appointments were only given to me over the phone and I don’t have an actual letter to cross reference and double-check with – will I get the right child to the right hospital/clinic/specialist on the right day and time?! I’m not ashamed to say I take a concoction of various medications every day to help me manage one way or another; be that for my severe depression, anxiety and inability to sleep or for the acid reflux that plagues me and the dodgy back/neck/shoulders and most recently, excruciatingly painful sciatica (so many carers suffer with joint/muscle pain and problems as result of the physical demands of caring for a loved one with mobility difficulties) I’m acutely aware that these are a crutch for want of a better word. In an ideal world, it would be far better to tackle the sources of the problems permanently. Even better in some far off utopia, it would be to put provisions in place to be proactive instead of reactive. To prevent the aches and pains and feelings of isolation, despair and all the affiliated emotions and physicality’s that go along with being a carer. I learned to my cost (and that of my families, not to mention the NHS etc) that if we carers don’t put protective measures in to fortify ourselves it all comes crashing down. I am not unique. 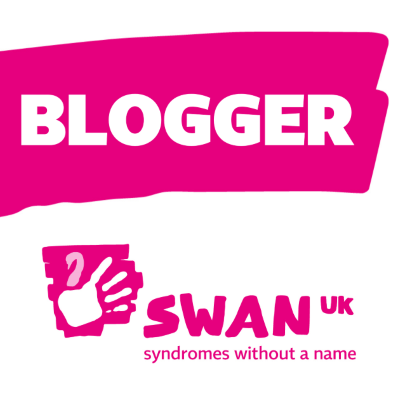 As a member of support groups such as SWAN UK – http://www.undiagnosed.org.uk I read far too many comments from parent-carers who face battles similar or even harder than my own. On other forums I’m a part of in relation to education, health and social care there is a generalised resignation to the fact that accessing support, working WITH organisations or professionals instead of the THEM and US facade is a constantly uphill battle; at best a ‘sorry there’s no money in the system’ approach to outright horrific accounts of utterly despicable, underhand tactics designed to deprive the most vulnerable members of society from the most basic, fundamental human rights and discrediting, even slandering or making false allegations against those who have to pick up the mantle and strive on their loved ones behalf. Probably best I don’t get started. I can feel the vitriol rising and that won’t help the acid reflux!! Next week from 11th June to 18th June inclusive is Carers Week in the UK. You can learn more here: https://www.carersweek.org It is estimated that in the UK there are 6.5 million carers and that figure is only certain to rise as we face an ageing population who are living longer, an NHS that is under resourced, over stretched and a welfare system that has been not so much stripped back as hacked to death and lord only knows what, if anything will be around in future times to help and support those most in need. But for now anyway, I have taken care of myself by refuelling with a double shot, fully caffeinated (you don’t say?!) latte and a belly full of apricot danishso I’m bouncing off the walls all fired up to tackle the paperwork and smite those dark forces with a mother’s wrath. *If anyone suddenly feels the need to shower me in delicious pastries of the apricot kind, you know, I’ll happily take one for the team 😉 Or tell me your own personal sanity savers and maybe I’ll see what else I can try! The clock relentlessly ticks & chimes. It is insistent but dull; a constant in the background, a drone of bees. When I wake there are moments where I cannot recall what or why but the fog lifts and I am jabbed, sharply. Ouch. Why is time so tritely passing in the blink of an eye yet we remain standing still – limbo – maybe even going backward? I am wading through sticky treacle & the dust motes settle in and on with the weight of a thousand tonnes to every pace, trying to break my stride, drown me in the quagmire. I have so much to say, shout, lambast angrily even but I must bide my time, guard it zealously. I remain gagged, tight-lipped…until, until…..
For now anyway we have reached an impasse. In time, when the momentum stills, one way or another there will be much to reveal. It will be make or break in that I have no doubt, but for whom is as yet undecided. Busy. Keeping busy. Every waking moment. Planning, doing, moving and shaking; albeit not in the term of “big business” more anxiety and jangling nerves that leave my hands jittering and spilling drinks, dropping bottles (gaviscon off the garage floor anyone?!) and generally causing me frustration and embarrassment. My mind is never still, nor am I physically. Tick tock tick tock. I have come to the conclusion it is a protective measure: too much time on ones hands to ruminate is dangerous. Thoughts come unbidden. They still have a tendency to take me by surprise: a mental stock-take of the medicine cupboard; an appraisal of potential “weapons” – it’s amazing what you can do with the most run of the mill household items. The need is still there. Particularly on the bad days. The house is clean, washing up to date. I have baked, entertained, ironed, meal planned and filed paperwork like a woman possessed. I look well. I have make up on, painted nails, hair clean, smelling fragrant. Not only is it my armour, it is an artful misdirection. A new take on the magicians slight of hand. I show what I want you to see. Slow down. Take time for yourself they say. Rome wasn’t built in a day. Rest when you can. Why? Will that be the magic fix? There are yet even more people involved in our lives now, more meetings, appointments, frustrating phone calls & emails. Everything is happening and yet time stands still. Limbo. At the beck and call of authorities who push deadlines and time frames then move the goal posts at the 11th hour. I no longer want to be reasonable and considered yet moderation is key. I am raging. I burn with white hot anger. It spills over to my every day life. Fragile children, already clingy, needy, uncertain. They demand, understandably, so much from me. I am torn in wanting to soothe, appease, console; but I am selfish. I feel conflicted and unsure of my approach with them. They want answers to promises I cannot make. My ferocious, voracious stance is only matched by my impotence and threatens our burgeoning protective bubble. The bubble is as delicate as those blown in childhood from bottles. I am told I need to stop with guilt. Ha! It is a laughable suggestion: I am a mother, a woman & Jewish at that!! We give the Catholics a good run for their money where guilt comes in! If only chicken soup really did cure all ills. I’m sure the NHS would be most grateful though big pharma, maybe not so much? Do not get me wrong. It is not all black. There are things to enjoy and things to look forward to. Realisations of how much friends and loved ones. mean. I hope they know how appreciated they are – both my virtual, on line support network & the flesh and blood variety. Guilt creeps in when I am too tired to reply or comment. I should be able to support others as they have done me but I cannot find the words, nor sometimes the energy. I’ve been truly over-whelmed and grateful for all the messages, emails, texts, visits and all round offers of support in the last few weeks. If ever I needed a kick in the backside and a reminder why I am actually privileged beyond all doubt, the last 9 weeks have galvanised that thought process entirely. In the most utterly dark, dismal and scary places I’ve inhabited over the last few months (both literally and figueratively) there have been sharply crystallised rays of light, a beacon if you want lighting the way and guiding me in the darkness. Cliched? Maybe. True? Certainly, at least for me. It is well documented that the very worst of times can bring out the very best of people (I refuse entirely to dwell on the paradox that you may also see the utter waste of inhumanity and degradation) and from those that have stepped in at short notice to ferry the kids about, entertain them, help hubby in anyway possible, iron, wash, cook, clean, shop; family, friends, acquaintances newly made (rapidly turning into firm friendships)and friends of old both in the wider world and closer to home in Yorkshire, I am humbled and grateful. There is so much I want to say about our “bigger picture,” what led me to the depths but for legal reasons I can’t. I’m sorry if that sounds a bit obtuse (I hate those annoying fb posts where people say something really leading, enough to pique your interest and then leave you dangling – probably because I’m nosy!!) but at this point in time, I do not wish to jeopardise our issues going forward (again, note the optimism; I cannot entertain the thought that things could crumble and leave us wading and wallowing in the 💩again….) Hopefully in due course I will be able to elaborate further and end with “and they all lived happy ever after” type scenario. 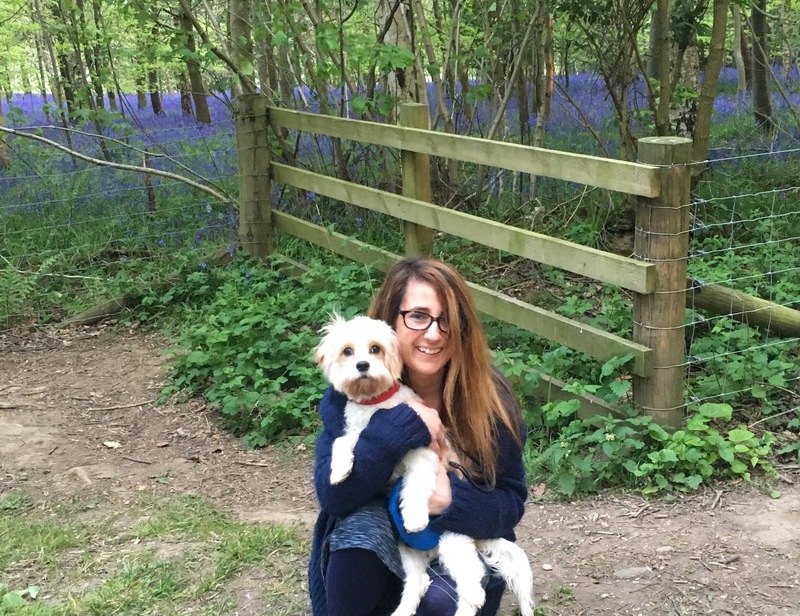 For now, and because frankly I’ve been a bit rubbish in the last few weeks at replying to people, I thought I’d try and sum things up a little – I guess this is the blog equivalent of either the (depending on your perspective!!) loved or loathed round-robin Christmas letter. I think I mentioned a few blog posts ago that I was struggling to answer how I was feeling. I wanted to say what people wanted to hear. I know that with the best of intentions those closest wanted to hear “I’m fine” and see a steely grin of grit and determination. In truth, I was more of a soggy mess and I haven’t dared wear mascara in a very long time (way before my admittance) as even waterproof would have given in to the torrents of tears. Fast forward to present day, I am testing out a proper reply to the question of “how are you?” During some points of some days I could honestly answer that question with “I’m fine, good even!” And I wouldn’t be lying. Other days, other moments it would be a more honest answer of “not so good” and you may end up with a wet shoulder if you proffer it for me to cry on. I haven’t started ‘proper’ therapy in here as my team believe that the best place for that is once I’m home. So for now, I guess the best answer is I’m a work in progress. But an evolving one, striving to move forward and embrace myself imposed motto: if the glass is half empty, there’s always more room for wine! I’ve not had huge epiphanies whilst I’ve been an in-mate but I have had moments of clarity and realisation. I’ve absorbed some of the comments from the psych team; turned & twisted them, then embraced them even though they do not always sit comfortably with me. Prickly truths and all that. I’ve been shocked at times how devious my thought process has become in the months that I hit my all time low. Moments where I feel almost as if I’m an observer of myself. Distanced and looking on at the crazy woman who pontificates how she could sneak tablets and other items to harm myself back into the hospital, avoiding the inevitable bag searches (FYI, I haven’t, mainly because I’m more worried about other patients who may be even more fragile than I and the potential dangers I could put them in if they went through my stuff) when I return to the ward. Then appalled as my mouth seems to disconnect from my brain and share these thoughts with the psych team. The brain is screaming “shut your mouth!!! !”at full volume whilst the gob goes spouting on and I tell them the numerous and awful ways I could do various things. For obvious reasons I won’t elaborate on those. I’m told however by the team that the fact I’ve been honest with them is a good sign so I’ll hold on that as a win. Lisa 1…. depression/anxiety,/deviousness well if not exactly a 0, at least not wholly defining me. I know I have a long way to go. I’m not naive enough to think that once I go home everything will be magically sorted and I can bounce back, go straight into full on mode as I had been doing for so many years. I am a realist. And I’m aware that being back at home will bring the stresses and strains of the real world and I may have blips. But that’s ok. With appropriate support, therapy and remembering not to run before I can walk (I’ve never been a running fan anyway unless it involved shoe sales or last orders) I’ve begun to accept that I can regroup, rebuild and restablish myself. I’m a do-er by nature. It doesn’t sit easy with me to kick back, leave things to others (control issues? 🤔) and not organise, create, or be involved. Guilt even now is a constant companion. Guilt knowing that Martin is (awesomely) juggling a stressful job, home, kids etc; guilt that those around me are having to pick up the slack; guilt that my loved ones are worried about me, my frame of mind and whether I can cope; guilt when Minx cries after a lovely weekend spent together but I have to return to the hospital. Guilt that I can’t read bed time stories or provide in person encouragement to our son doing A-levels. Enormous, crushing, at times all encompassing, over powering guilt that I can’t wave a wand and enable our autistic child to access not just what he deserves but needs in order to meet his potential. Even guilt that the poor dog is on his own for large parts of the day if no one is able to be at home with him. However, guilt is not my friend and it is self destructive. So instead I choose to remember that I have made it out and about, home at times, walked the dog, (even if it’s been late in the day) cuddled my children, kissed tears, sore knees and sent messages, spoken words of support and suggestions of help and for now that is enough. I am after all a work in progress …. 49 days – 7 weeks x 7 days. Counting down like a child to their birthday, Christmas or a holiday. But I am no child (despite numerous agencies doing their best to make me feel that way) nor am I counting down. Up I go – the number of days I have spent in crisis borne of exhaustion and lack of support. The ennui is heavy, a tiresome burden. It seems to matter little which authority or agency is “in charge,” whether I’m sat in a boardroom with senior managers, in a tiny office, the quiet room, somewhere, anywhere on the ward; the words & noises wash over me like the droning buzz of bees; and each service offers up essentially the same platitude differing slightly by tone or word but there is no concrete solution offered. Sometimes pills to take off the edge. I am calcifying. Feeling my bones beneath me fossilising and yet melting at the same time but there is no release. Small comfort in tiny things – the dog, always happy to see me, the children, hubby, close friends and family texting/e-mailing/messaging for a progress report. It is a kindness but I no longer know what to say. What do they want to hear? I think carefully. I should not forget the shoes I suppose. I await instruction – get up, medications, get washed & dressed. Plaster on the smile & the make up. This is my armour but the smallest of fissures show beneath the veneer. Eat, sleep, repeat. Don’t look closely. It is a death mask. There is a coldness, a distancing. Who is the person staring back at me in the mirror? It surely is not I. That woman looks so “normal” Ha! Appearances are deceptive. I am a chameleon but I do not change my colours for others, for protection. I am beige, blending in, don’t stand out. Does anyone even see me or just what they expect to see? What to do? It has not been successful so far – attempts: 2 – Lisa nil. My mind is jabbed sharply, pointedly by my protective measures – my husband, children; I am aware of the statistics of those who do succeed and the increased risk it burdens on my own flesh and blood. Yet I cannot be, cannot exist as is. It is not survival. Purgatory I think. Perhaps if I contine to calcify, fossilise, blend, I will be re-absorbed; a form of osmosis? Since I seem to have set many a precedent with my blog posts using song titles and this rang a vague bell (again could be the meds/bleeps on the ward, my imaginary friends, who knows quite frankly?) I thought I’d better google in case I needed to credit anyone specifically. Turns out somewhere along the way all “dat wonga my main mans (parents) what spent on ma h’education over dem years” did somehow pay off. Not only is it music related but classically so no less! Something to do with Wagner’s Tristan and Isolde…. but regrettably that’s about as far as my musical knowledge goes (sorry Dad, I did try). Anyway, as so often happens when I start blogging I’ve gone far off track of what this (puff) piece is supposed to be about…. & despite the dreary title. I hope it will make you laugh if you can muster the energy to read on further. The last few days have been hard work; assessements by various Dr’s, psychiatrists, psychologists, nurses – even when you think they are not watching you, they are; (not in a nasty, obsessive way, just part of their job to observe your mood & interaction) plus there are cameras in every communal area so it really is a lot like “The Big Brother House” (only the peeps in here are far more entertaining & definitely not doing it for the publicity.) There are some horribly sad, tragic situations and others that are too comical for words, and I really mean that with the kindest of intentions. I would not be so disrespectful as to target those with mental health issues as it’s a very low path which I can safely say from experience. The last 4 days in particular have been very rough, difficult and involved copious amounts of crying (me not them) tissues and snot (me again, v attractive obviously) restraint (on my part not to physically bash one of the Doctors who tried to tell me I didn’t know my own mind 🙄) and quite a lot of drugs. Legal ones for clarification. Over the last few days I got put back on 15 minute observations and 10 minute obs when I was in the bathroom – I honestly had no intention of drowning myself in the u-bend of the loo but knowing you have someone hovering nearby shouting “are you ok” v loudly and as if you don’t speak English (you know that thing we do to foreigners where we speak loudly & slowly at them in our own mother tongue because that helps them understand sooo much better 😳🤔- yeah, like that) well it’s not very conducive to “performing” on the loo, be that a tinkle or otherwise & I find myself saying sorry to the environment for running the taps on full to drown out any noise I might make to help me “go”. 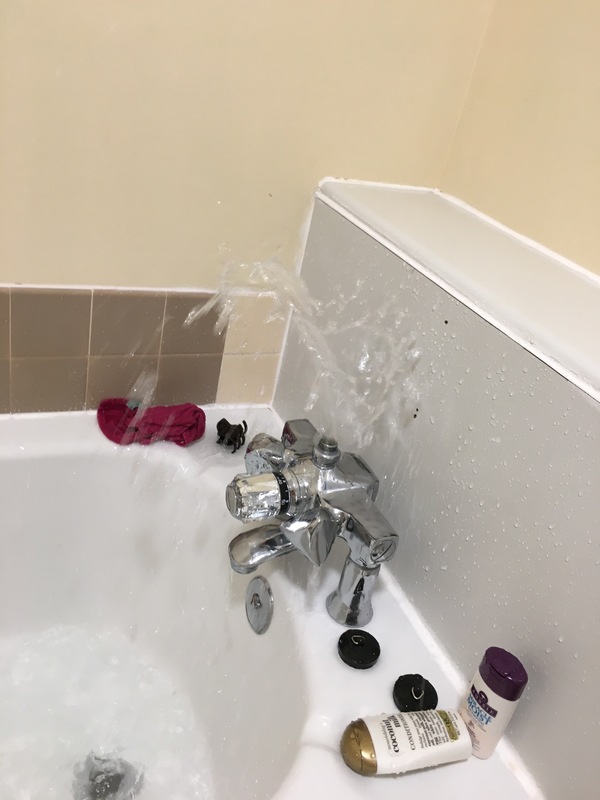 Anyhoo, during this rather unhappy period, I decided to have a bath at 10pm, just before I take enough meds to knock out a 50 stone gorilla – see proof I’m thinking sensibly, risk aware etc…. no point having the bath AFTER taking the knock out stuff – if I do intend to “off” myself I have no desire to be dragged, in the buff out of the bath whilst some overworked, underpaid chronically tired Doc attaches chest paddles/suction (whatever, far too much Casualty/ 24 hours in A&E watching!) to bring me back, whilst the rest of the crew attempt to help, keep away the gawkers… and frankly the NHS staff have enough paperwork & forms to fill in anyway so I’m trying to be considerate on many levels. 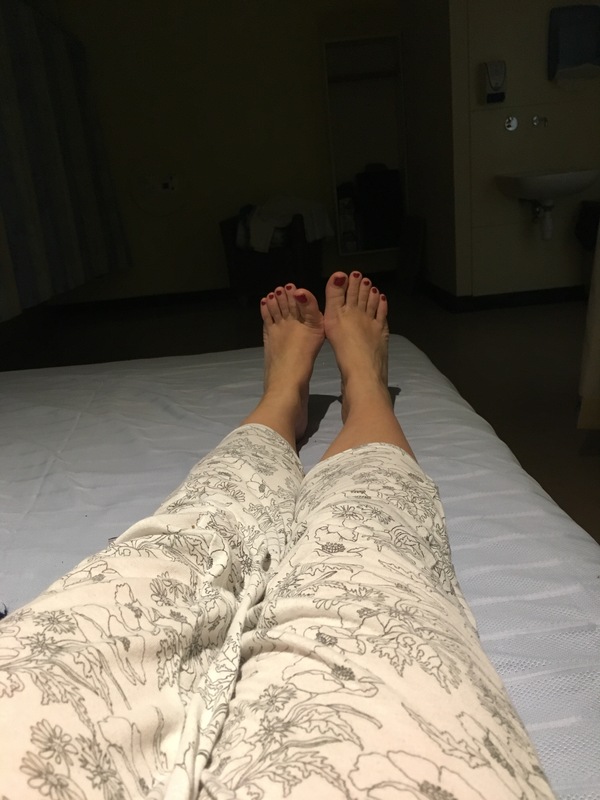 Those of you who have stuck with me & followed my blog posts for a while will know that I have an (un) enviable reputation when it comes to matters of personal hygiene in hospitals far & wide across the country. You see although the bath itself only contained about an inch of water, the rest of the bathroom was knee height as the spiggoting (not a swear word!) tap had done its damndest to flood the place!! By this point, water was creeping under the door, over my clothes & slippers left on the floor, the clean, previously dry towels & rising by the second over the sanitary bin (🤢).. If you’ve ever watched the film Titanic with Kate Winslet & LeonardoDe Caprio, you may recall that image of all the poor people in steerage up to their necks in water being locked behind a gate. It felt like one of those moments…. By this point, uttering a lot of very rude words as quietly as I could to avoid alerting staff, my only objective was to turn off the sodding ba$+arding tap as quickly as I could and to shove a towel at the doorway to absorb as much water as possible before it leaked into the hallways causing the medics to call a code red (or something) I can tell you this was NOT doing much for my already out of control anxiety & I suspect if anyone had taken my blood pressure, I would have been lying on a crash trolley somewhere. So at this point, all 4 of my lovely, pristine-still-basically-handkerchief sized bath towels were wringing wet, there was a water mark on the walls & then the ever present “all ok?” was gently wafted from the other side of the door. At this point the temptation to wail noooooo, gibber and rock quietly in the corner seemed like a good call – after all they’d seen me at my lowest ebbs, it was just a case that they were going to have to view a different kind of lower ebb since I had no dry towels or clothes to preserve the very little dignity I have left…. But somehow my inner Wonder Woman” (well really in my current modus operendi, I’m more like the sad, bald, partially limbed Barbie that the nasty boy in the original Toy Story feeds to his dog but I digress) trilled out with a light & breezy, “all fine, nothing to worry about! 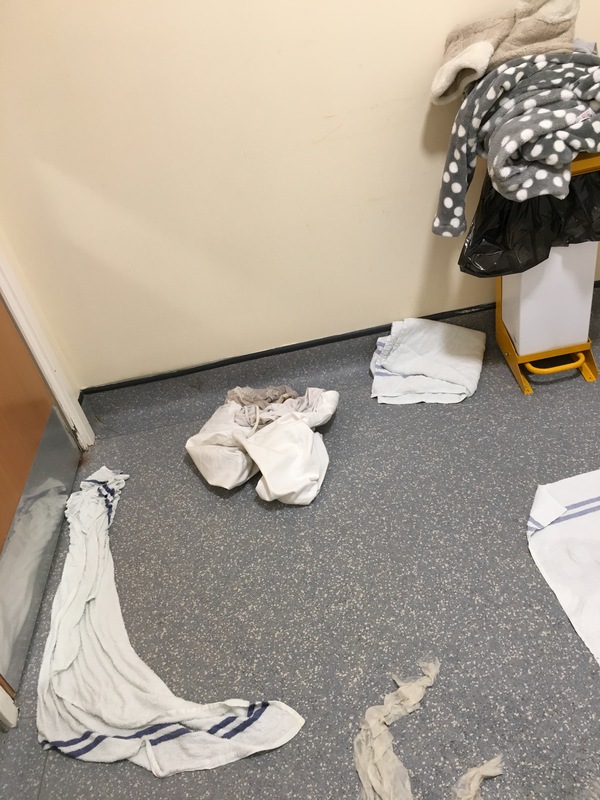 Knowing I had a 10 minute window of opportunity to sort out this shambles, I started winging out towels, throwing them back on the floor in the vain hope they might absorb a teeny bit more. Then I turned to the loo roll and paper towels which had not long been refilled and basically, desperate times call for desparate measures so I did what I had to do…. think the domestics were most surprised to find pretty much the entire bathroom supplies that had only been restocked at 6:30 the previous evening were almost gone by 7am but it’s not been mentioned. After the exhausting clean up process, frankly the last thing I wanted was a bath in an inch of water… but I was more than a bit stinky and damned if that inch was going to waste (ahem!!) Nor was I taking any further chances of running more water. So when I had to shuffle out of the bathroom a few minutes later in wet pj’s and scurry (slopping noises down the corridor) to my cubicle, I changed as quickly as I could. The trilling Geordie voice from the other side of my cubicle curtain “oooh I bet that was a nice one pet, you were in there for ageeeeesss!! !” was met by a faint moan on my part & in hindsight, I probably didn’t need the knock out meds prescribed of a night time… but I figured a nice dreamless sleep might fix things-somewhat…. although I did have very vivid dreams involving the film Point Break…. can’t think why…..